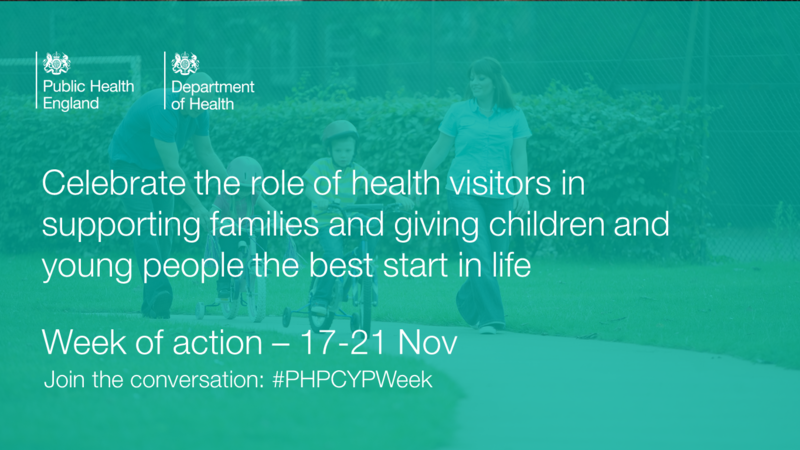 Welcome to day three our week on helping families and giving children and young people the best start to life. This short blog is to provide a pointer for what we have coming up today and some things you may want to book for later in the week but as this is a week of ‘action’ we would also like to encourage you to use the week as an opportunity to post details on what you are doing, to share successes or make a pledge to do something that ensures children and young people are at the heart of what we do. 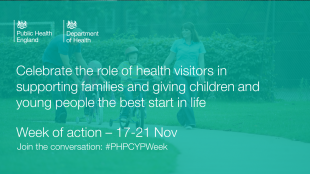 Our Twitter hashtag for this week is #PHPCYPWeek (Population Health Practice/Practitioners Children and Young People Week), so please try to use it and get us trending. Among the number of partners supporting our week we are grateful to the Royal Society for the Prevention of Accidents http://www.rospa.com/ who have offered 20 free places for a training day on child safety in the home to health visitors. Please do not contact us for a place as we are not accepting applications but will trawl via NHS Area Teams when a date is fixed. You are also encouraged to read this moving personal account by Joy Edwards following the tragic death of her daughter, Leah, in a blind cord accident http://bit.ly/1xeBCwV. Joy now campaigns to raise awareness of home safety. Keep your eyes open for related articles appearing in professional journals during the week or on their websites (some journals will be subscription/membership access only). Articles appearing on today’s theme include Maternal Mental Health – Postnatal Depression, the importance of breastfeeding for emotional well-being, health visitors and school nurses supporting asylum seekers, the impact of specialist health visitors for homeless and vulnerable families.